Successful experiences and other unsuccessful to forge ideal cities Archi-new - Free Dwg file Blocks Cad autocad architecture. Archi-new 3D Dwg - Free Dwg file Blocks Cad autocad architecture. History is full of many failed attempts to establish what could be considered ' ideal city '. But is it possible to resist this trend? Journalist Jonathan ghalansi explores this in the following lines. Chandigarh city was born, more prosperous cities of India and enjoy greenery, loaded with hopes and dreams in a period his nightmares are among the darkest periods in the history of the country. In 1947, India gained independence from Britain. As part of arrangements for independence, the country was divided into two States: India and Pakistan, which led to the displacement of approximately 14 million Hindus and Sikhs and Muslims from their homes to move to live in new areas. And ethnic tensions and rivalries have led to up to 1 million brutal murder (although estimates vary in this regard). As a result of partition, Lahore, the ancient capital of the Punjab region, part of Pakistan. Indian authorities therefore decided in 1949 establishment of Chandigarh, to become not only the capital of Indian Punjab, but to be a model for what would become the modern city, promising peace and democracy, and a new social system free from bitter. But it raised two questions: what form should they take the capital of modern Indian States? And that will put the city's architectural design? At that time the United States was clearly represent the most current state and democracy in the world, so the Indian politicians and technocrats sought to use American expertise regarding the design of the new city. Here shows the name of the architect and architectural plan of Albert Mayer who design New York City. technology, school ' green city ', which calls for a self-contained cities design surrounded by a belt of green areas. But came in 1950 with an unexpected surprise, since Matthew died noviski, Principal Assistant virtuoso ' Meyer ' dies in a plane crash, in conjunction with the accelerated rise in the us dollar. Therefore Nehru and his advisors began to search architectural experiences elsewhere, Indian delegation goes to meet with the Franco-Swiss architect famous ' Le korbiozier ' in special professional in Paris. 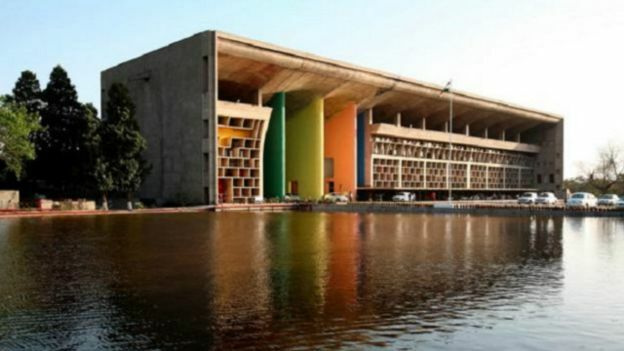 After initial hesitation, korbiozier – the dream of an ideal city design – design for ' Chandigarh ' major buildings. Half a century later the architect's death in 1965, the Museum of architecture and heritage ' located in the Palais de Chaillot ' ' Paris exhibition, whose contents included wonderful pictures of undisclosed unveiled by showing life in that city, which raised the question: does the korbiozier succeeded in designing an ideal city uninhabitable right? This question is of particular importance at the present time, given the rapid growth in world population, as well as the growing trend of migration from the countryside to the cities. Do we need in such circumstances the modernization and development of already existing cities – in one form or another-or fixed haphazardly to keep up with the changes, or should we applaud new places entirely uninhabitable? It was akhenaton and Queen Nefertiti's husband and the father of King Tutankhamun, announced his conversion to the monotheistic religion, Crystal concepts himself, folded so the gods page kiss in pharaonic Egypt. This was a shocking development, as comparable to the amount of speed built by new city. 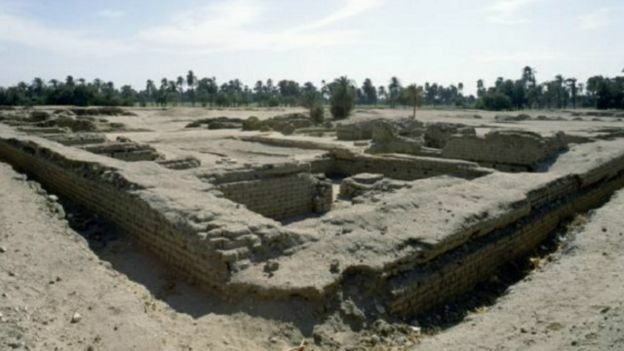 In less than five years, completed construction of the ' Amarna '. In light of this speed in construction, has been rushing to build most buildings of Adobe (mud bricks). And didn't TeX only stone buildings the most important place in the city. As a result, abandoned ' Amarna ' and forgotten immediately, after the death of Akhenaten in parallel with the demise of ' Patton ', the one God, who has declared his faith, and the return of the old gods. After three thousand years, but in India this time, transfer the Mughal Emperor Jalaluddin Akbar ' ' wisdom of capital city of Agra to another town named ' vathabor Sikri. Contrary to what happened with ' Amarna ', constructed of such ' ideal city ' elaborately, they have carved hard her edifices great beauty, using stones severe colour diversity and pluralism. But there is one defect taints the city water, or rather the lack of it. Thus, despite all the magnificence architecture; left ' vathabor Sikri ' capital mogul only 15 years. In 1585, he moved the emperor to Lahore, the city becomes the dream that is built since then, ghost town although its buildings intact. As for the ideal city that decided the ' Republic of Venice ' constructed in 1593, was surrounded by controversy regarding religion as ' Amarna ', or marred by lack of water as with ' vathabor Sikri. 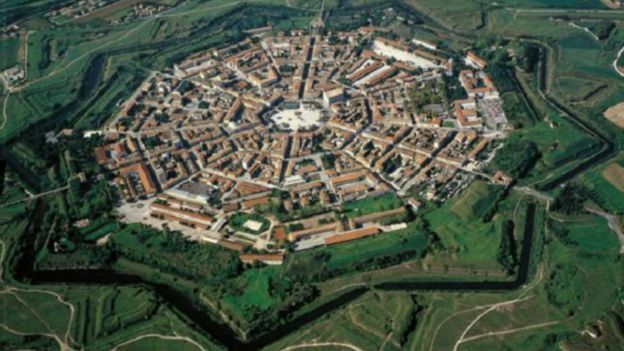 The irony of that city, dubbed ' Palmanova ' was not only a form of abject failure, although it seemed ideal, it is a city built on a star-shaped fortified Novena, with wide streets emanate from their position with elegant design. If leaving the military aspect, we find that no one wished to settle in this city, which was located just 70 miles northeast of Venice; what makes it far from any urban center. It reached a limit in 1611 decree ordering release of criminals ' Republic of Venice ' who intend to stay in Palmanova. Anyway survived that city from destruction, but despite her beauty and elegance stemming from the consistency of dimensions, designs may remain closer to the masterpiece eye-catching spellbinding character to model for how they should be commended on the basis of any ' new ' ideal city. What is the mechanism lacked ' Palmanova ', like ' Amarna ' and ' vathabor Sikri, is ordinary. merchants and traders and craftsmen markets — to come to such activities regular urban cities to make those ' perfect cities ' real cities teeming with life. Best laid plans for the construction of the ' ideal city ' often end up plans for the construction of the ' ideal ' cities placed in drawers. Among these plans, one developed by Sir Christopher Wren ' to ' build ' London ' new design more sensitive to the needs of its population, which draws its inspiration from the architectural style of the Renaissance, after the great fire in the British capital in 1666. But traders and employees at banks and securities dealers – who were eager to resume their activities-not show lowest interest pending construction of a new city; maybe some qualities of idealism, requiring — on the other side – spending money without a doubt. And so I found the plan, drafted by Rehn nobly in this regard, the way to archival records. bordering the Baltic Sea, becoming the capital of Imperial Russia. But even when this happens, robbed Moscow from Saint Petersburg this title. Although the center of the city, built in the 18th century style, with beauty; the history of dark and melancholic; just like the poets mood. But the city remained uncertain even of the name to be called, was known by the names varied between Saint Petersburg, webtrogharad, weliningharad during her short bus by dramatic events. 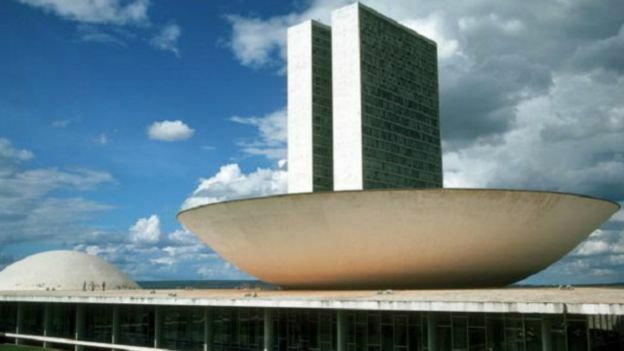 Either Brasilia; that the modern city which is created by Brazilian President Juscelino Kubitschek — designed and built within four years (1956-1960) by architects Oscar Niemeyer and Lucio Costa-it is a ' fantastic masterpiece of branded future '. However, the working-class residents of this city do not live in those stylish complexes located in the middle of it, but in what is known as ' shanty towns ' (slum) that encircles it. If we talked about British cities that boast being the newest and most modern in the country, we find that ' Milton Keynes ' most recent era in terms of date of construction and the largest in terms of size, perhaps the best of these cities. The most admired by the people here, the fact that this city has been designed so that it is located on the network in a variety of ways. 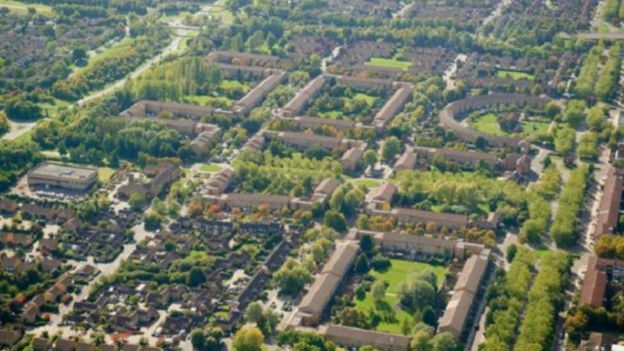 But ' Milton Keynes ' cannot satisfy the needs of the cat looking for a lifestyle that London can provide to their residents. It, like most ' ideal ' towns and cities lack cultural and historical richness of cities that have emerged and grown naturally. as well as the lifestyle lived next to where the traditional and contemporary stamps. 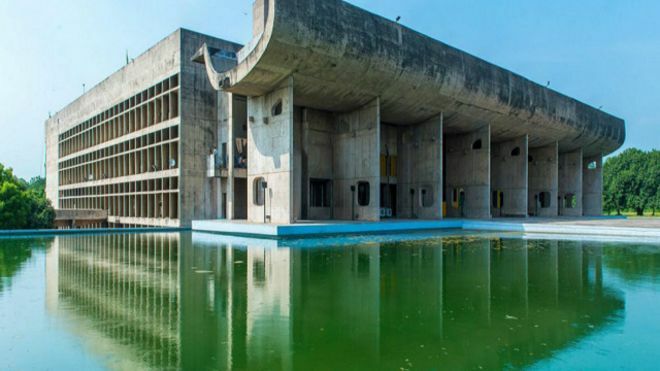 Although history tells us that it is often better to leave those cities ' exemplary ' designs on paper only, ' ' constitutes a Chandigarh apparently-perhaps not frequent model — the possibility of achieving such a successful city, contrary to what is familiar and unfamiliar.